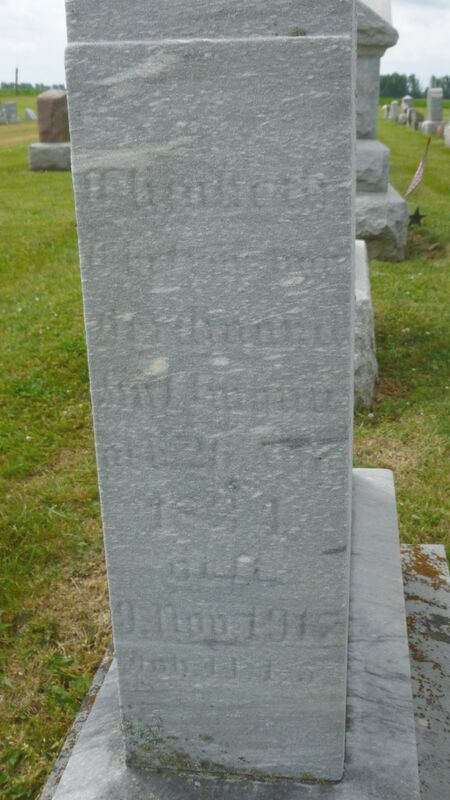 This marble tombstone is weathered and very difficult to read. Any inscription once carved onto the face of the stone is not illegible anymore. The inscriptions for this couple are on either end of the marker, Ferdinand’s inscription on the south face and Elizabeth’s on the north. Ferdinand Huffmann has his own entry in Zion’s familienbuch and that entry gives quite a bit of information about him and his family. It tells us that Ferdinand was born 7 March 1830 in Fechingen, Rhein-Prussia, the son of Jakob and Margaretha (Schmeer) Huffmann. He was baptized and confirmed in Fechingen and he immigrated to America with his parents in 1849. Ferdinand married Elizabeth Herzog in 1852. Elizabeth was the daughter of Johann and Margaretha Herzog and was born 26 August 1834 in Buschendorf, County Court Herzogenauerach, Unterfranken, Bavaria. This church record also gave the names and birth dates of their first eight children. All of their children were born in Liberty Township, Mercer County. Ferdinand Huffmann married Elizabeth Herzog on 8 August 1852 in Mercer County, Ohio. The couple was married by Rev. J.D. Gackenheimer, a traveling minister from the Van Wert area. Elizabeth’s name was spelled Hartzog on the probate court record. Ferdinand attended St. Paul Liberty and the couple was married there. Zion Chatt was not formed until 1855 and Rev. Gackenheimer was Zion Chatt’s first minister. St. Paul’s records indicate that Ferdinand was from Mercer County and Elizabeth was from Butler County, Ohio. By 1900 Ferdinand and Elizabeth had been married 47 years. This enumeration indicates that Ferdinand immigrated in 1849 and that Elizabeth immigrated in 1845. Three of their children still lived at home as well as their granddaughter Nora S. The census indicates that Elizabeth had given birth to three children and that they were still alive. However, we know that she had given birth to at least ten children and one was deceased. Someone in the household probably reported the just the number of children still living in their home at that time. Their household in 1900: Ferdinand, 70; Elizabeth, 67; Philip, 37; Isabella, 37; Rosana, 24; and Nora S, 13, granddaughter. This was the last census Ferdinand was enumerated in. According to Zion Chatt’s records Ferdinand Huffmann died of dropsy on 24 April 1908, at the age of 78 years, 1 month, and 17 days. He was buried on the 27th. Survivors included his widow, 5 sons, and 4 daughters. I noticed that there were two Ferdinand Huffmanns around Chatt at that time. They were relatively close in age and each had children born about the same time. The other Ferdinand Huffmann was born in Fechingon in 1847 and was the nephew of today’s subject, the son of his Carolyn Huffmann, who married Jacob Huffmann. Today’s subject and Carolyn were brother and sister. The nephew Ferdinand Huffmann was married to a Barbara, Barbara Schott. The church records made it easy to keep the families straight because they always mentioned the first name of the wife, either Elizabeth or Barbara. 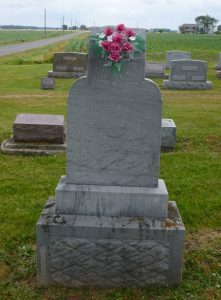 Also of note is that this surname was spelled a couple different ways on various family members’ tombstones and in other records and was even changed by some branches of the family over the years–Huffmann, Huffman, Hoffmann, Hoffman. Also interesting that while researching this family I saw two connections to my family. 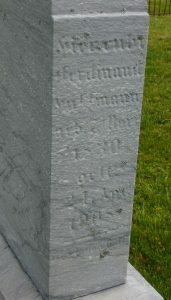 Ferdinand and Elizabeth’s son John Huffman was married to Samantha Bebout, sister to Mary Loverda Bebout (1859-1937). 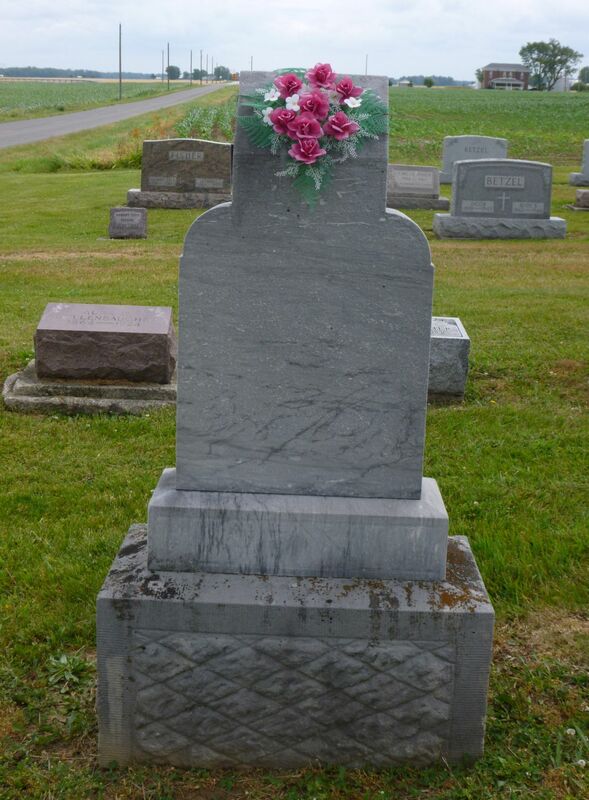 Mary Loverda Bebout was the second wife of my great-great-grandfather Daniel Brewster. And, Ferdinand and Elizabeth’s son Friedrich/Fritz Huffman’s second marriage was to Lucinda Caroline “Callie” (Brewster) Tester (1874-1907), daughter of the above-mentioned Daniel Brewster and his first wife Sarah Fetters. Fritz and Callie were married by Zion’s Pastor August Affeld in 1898 and it was the second marriage for both. 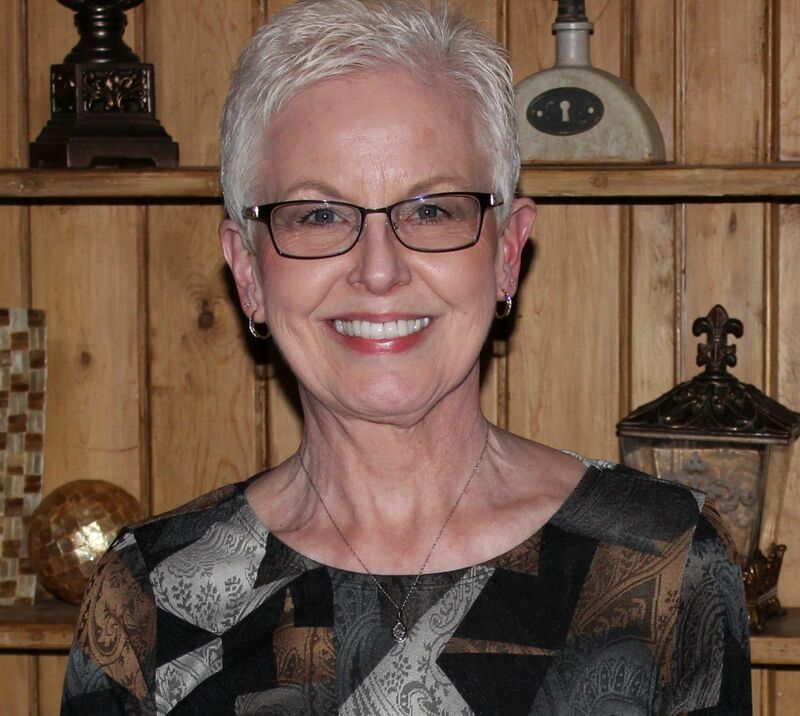 Daniel Brewster would have been a father-in-law and a brother-in-law to two Huffmann siblings. “Ohio, County Marriages, 1789-2013,” FamilySearch.org, Ferdinand Hoffman & Elizabeth Hartzog, 8 Aug 1852; Mercer Marriages, 1838-1852, Vol. ABC, p.394; FHL microfilm 914955.